NARCScan algorithm provides onscreen operator assist to quickly detect illegal and concealed narcotics on baggage and parcel inspection systems. The ability to detect illegal and controlled narcotics has become increasingly important to many countries’ national security. Our narcotics detection technology, allows baggage and parcel inspection system operators to more quickly and easily identify potential illegal material inside scanned baggage or parcels. By analyzing the targeted object for anomalies that might indicate concealed or actual narcotics, and displaying these as visual alerts in the operator’s screen image, the NARCScan accelerates the scanning and narcotics discovery process at any screening station. NARCScan uses a proprietary detection algorithm that performs real-time material resolution by analyzing data such as atomic number, mass, size and other properties of the scanned materials. It highlights the suspect material on the operator screen. 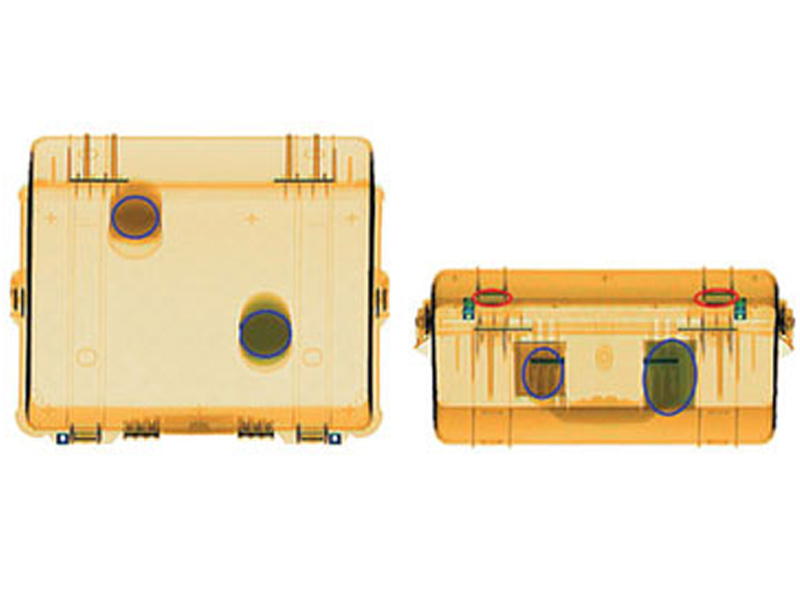 The technology can non-intrusively and alerts the operator of narcotics detection inside the bag or parcel even if the suspect items are obscured or overlap with others. NARCScan provides high detection probability as it incorporates a proprietary approach in detection algorithm to the information provided by the X-ray images. NARCScan is available as an option on all Rapiscan® Systems baggage and parcel inspection systems. In dual view systems, the detection alert feature highlights the suspicious material in both horizontal and perpendicular views.